Yummiest little bite of party food ever? 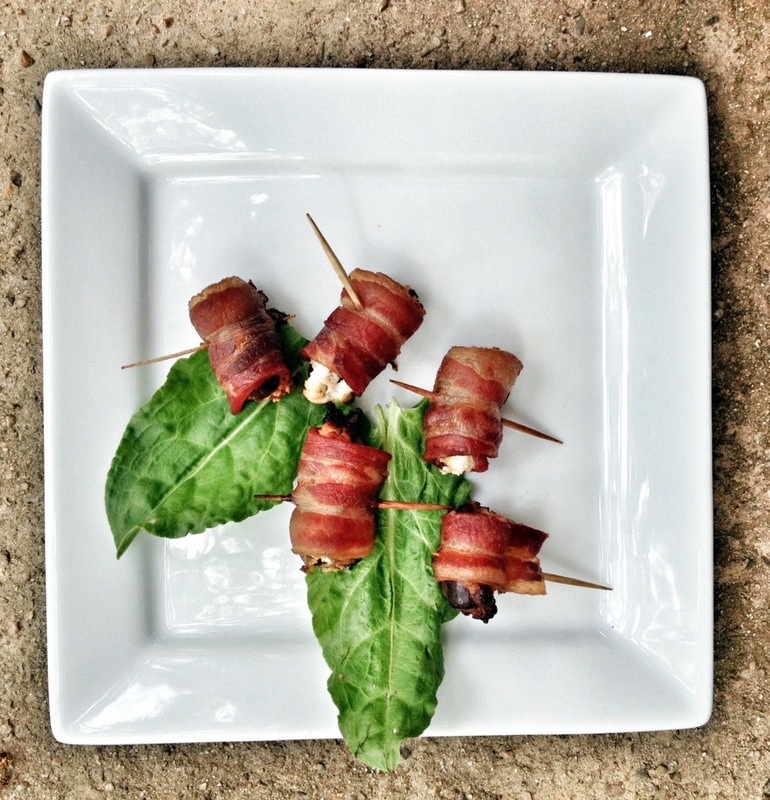 Bacon Wrapped Dates With Goat Cheese! Sweet + Salty + Cheese = Goodness. Such a happy combination of flavors, I promise. Bacon is relatively hard to beat as a crowd pleaser, so naturally, these were a big hit at my house. My sister makes platters and platters of them for parties at her restaurant. It took me a little while to prep them, but that part could be done ahead of time for sure. And speaking of bacon, I am giving away a Petit Jean Bacon Sampler this week! Cut bacon slices in half. Fill dates with goat cheese. Wrap a half slice of bacon around each date and secure with a toothpick. Repeat with all the dates. Bake on a parchment lined cookie sheet at 375 degrees for 20-25 minutes. Disclosure: I am a Blue Diamond Club member with Petit Jean Meats, which means they send me products to try and share with you. 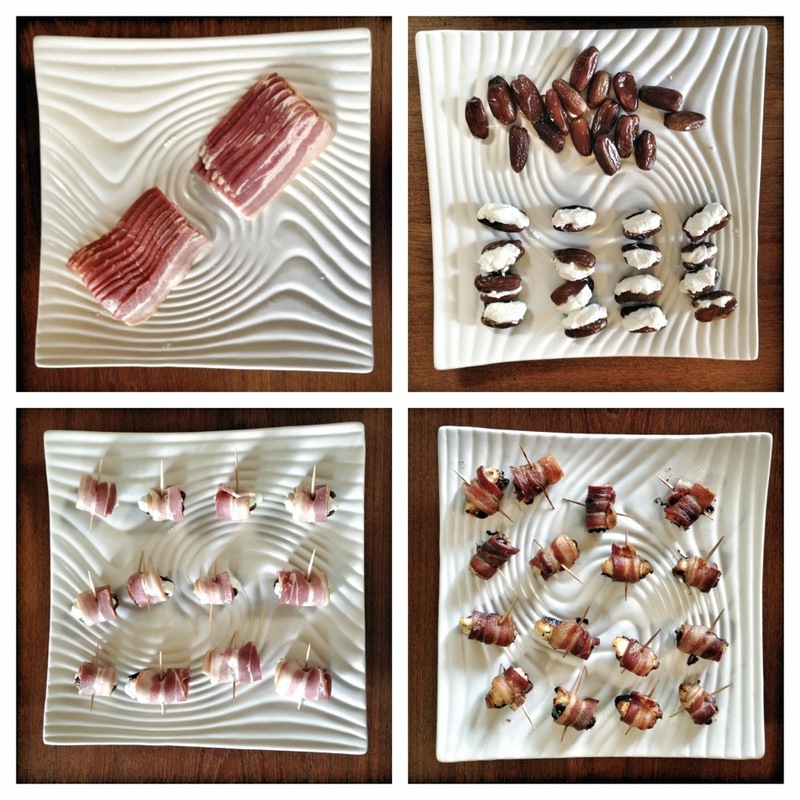 I received a Bacon Sampler, with which I made these dates and the most amazing BLTs EVER, but all opinions are my own, of course. For more information about and special discounts from Petit Jean Meats, you can sign up for their newsletter.